Your own private luxury sanctuary for you and twelve of your closest friends (or family members). Searching for the latest and greatest in the land of smiles? Gather your 12 best friends and head directly to the newly opened, and beautifully appointed, X2 Chiang Mai Villa. Set in a mature garden in the center of the city, the villa is both luxurious and private and offers an intimate experience with all the comforts of home. 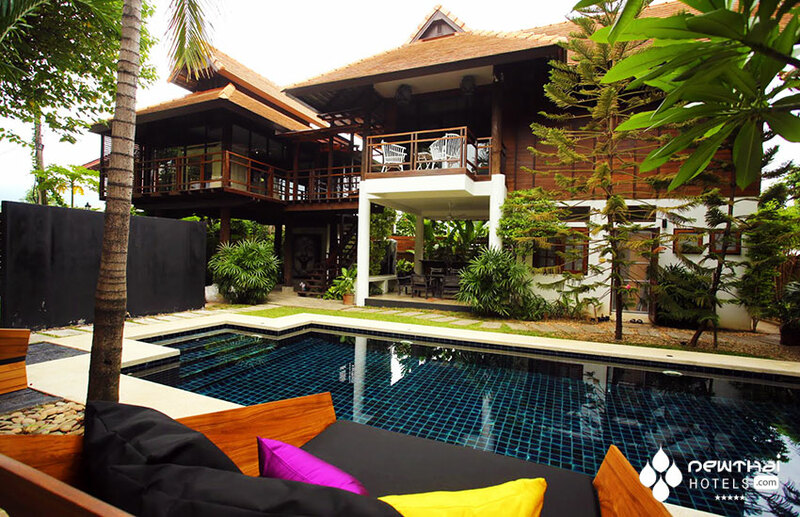 X2 Chiang Mai Villa is perfect for extended families or large groups of friends. It boasts five bedrooms, four bathrooms, a state of the art kitchen, living room, dining room and car parking. The villa’s living space spills into the outdoors with a pool, garden and al fresco dining area. 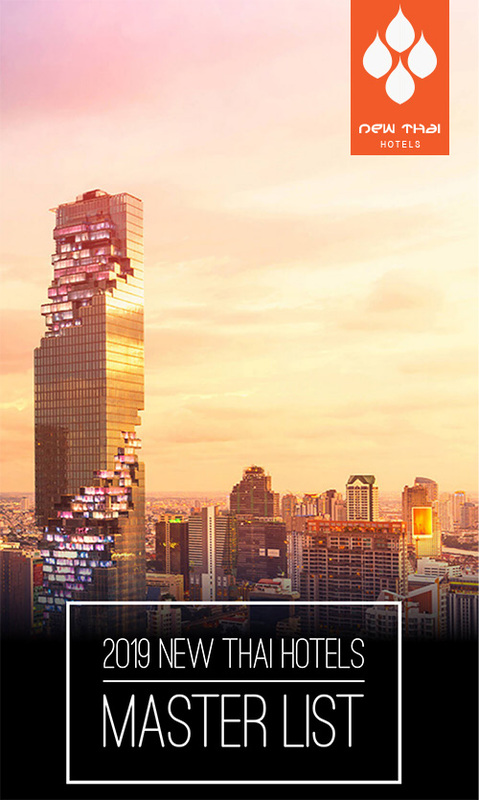 The design and décor reflects both the rich culture and history of the area. Modern touches were added to the original wood and concrete Lanna villa but the character still remains. The inside is decorated with ethnic arts and décor items by Chiang Mai locals and hill tribes. 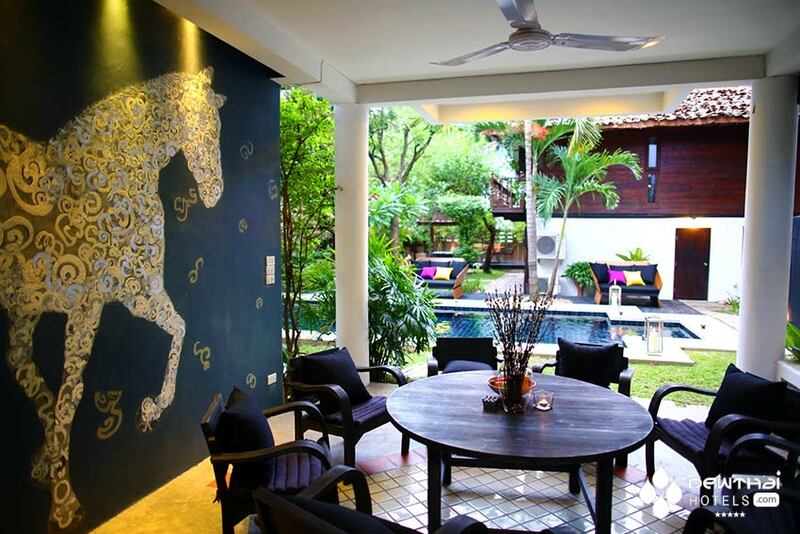 For example, a showcase painting on the semi-outdoor patio is comprised of Lanna numbers and alphabets used to create the shapes of horses. The master bedroom, on the second floor of the main building, has its own terrace with views of the pool, garden and pagoda of Wat Lok Moli. The children’s room, also in the main building, boasts a three-sided floor-to-ceiling glass wall as well as a queen-size bed and bunk bed. The additional three bedrooms, each with their own design and color schemes, are located in the second building. When venturing outside the X2 Chiang Mai Villa, guests can choose from a number of nearby restaurants bordering the riverside. Spa services are available either on demand or at multiple local establishments. Tuk tuks are available for hire on an as-need basis or guests can easily walk to attractions. 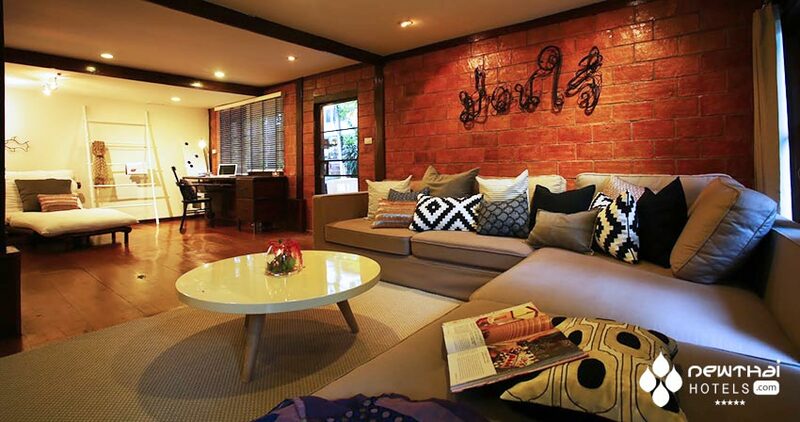 X2 Chiang Mai is offering a special introductory rate of THB 17,500 per night from now until October 31, 2013. This entry was posted on Monday, July 29th, 2013 at 10:21 am and is filed under Openings. You can follow any responses to this entry through the RSS 2.0 feed. You can leave a response, or trackback from your own site.